Nestling in the heart of a beautiful natural heritage site, our comfortable and cosy rooms offer you the choice of either just a room or half board stays. 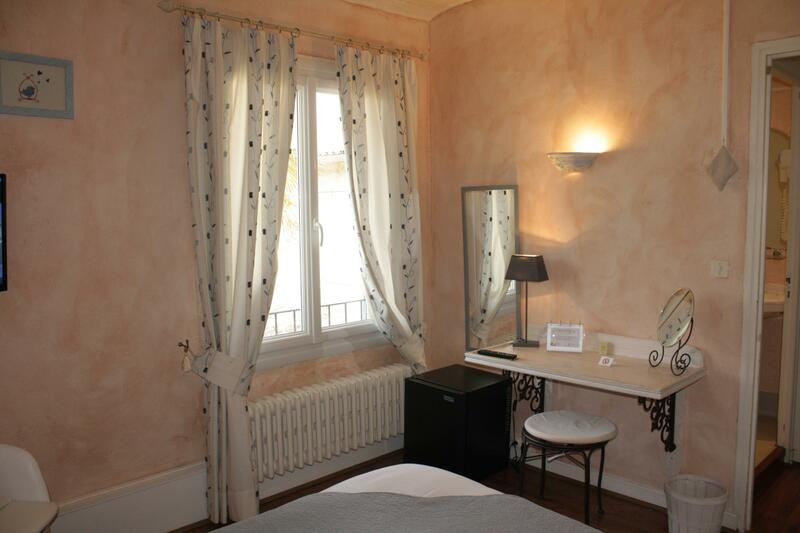 Divided into two categories, the Provençal category rooms with the accents and the shimmering colours of the South and the Contemporary category rooms set up as small studios, offer both cachet and conviviality, with views of our village or the park. 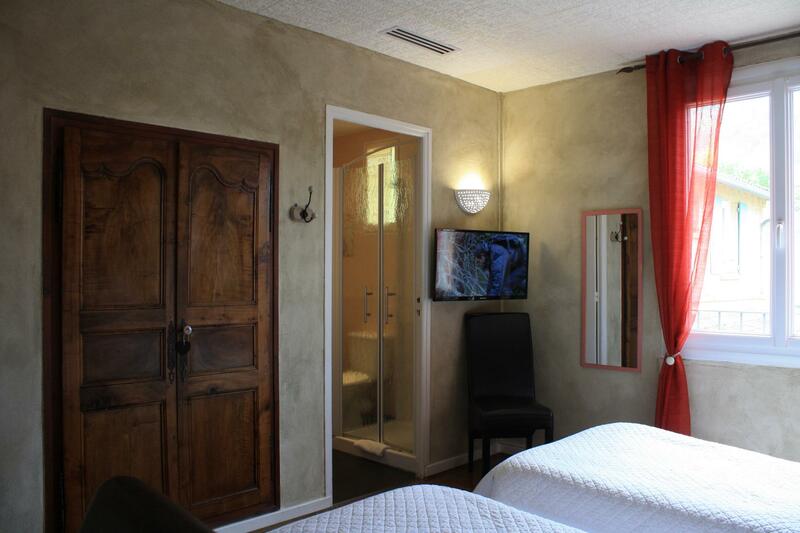 The Provencal rooms are equipped with shower, WC, hairdryer, telephone, LCD TV with TNT, luggage rack, WI-FI, small refrigerator and individually controlled air conditioning. 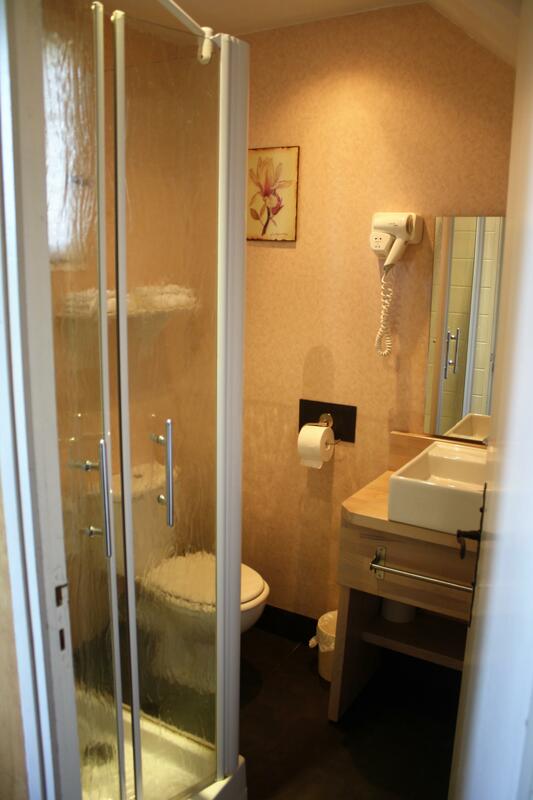 The Provencal category rooms are equipped with shower, WC, hairdryer, telephone, LCD TV with TNT, luggage rack, WI-FI, small refrigerator and individually monitored air conditioning. 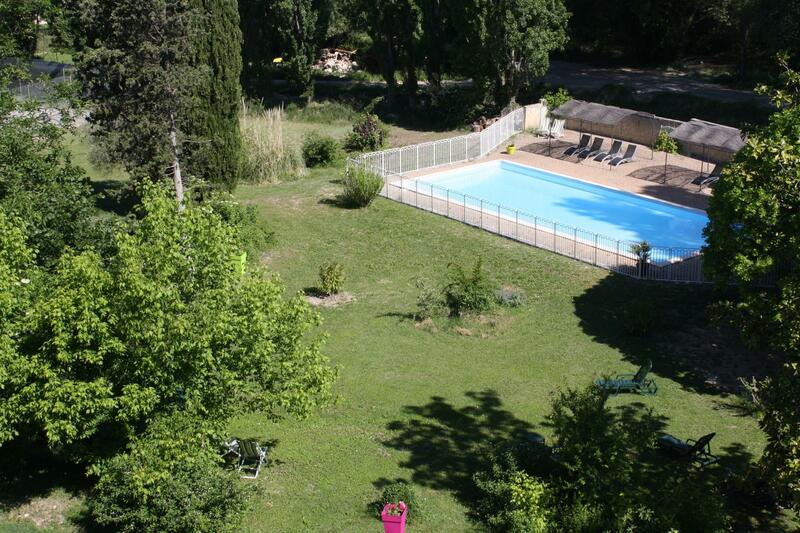 Every morning, when you open your shutters, you can enjoy the beautiful landscape. 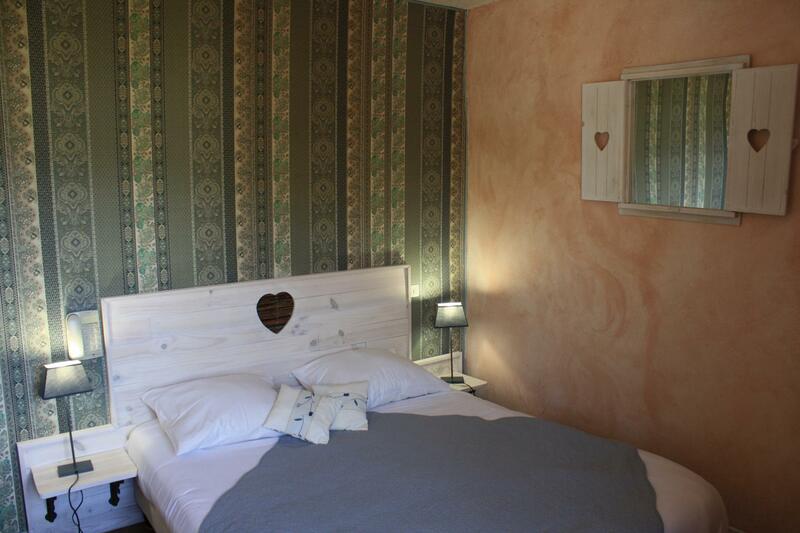 The ProvenÃ§al category rooms are equipped with shower, WC, hairdryer, telephone, LCD TV with TNT, luggage rack, WI-FI, small refrigerator and individually controlled air conditioning. 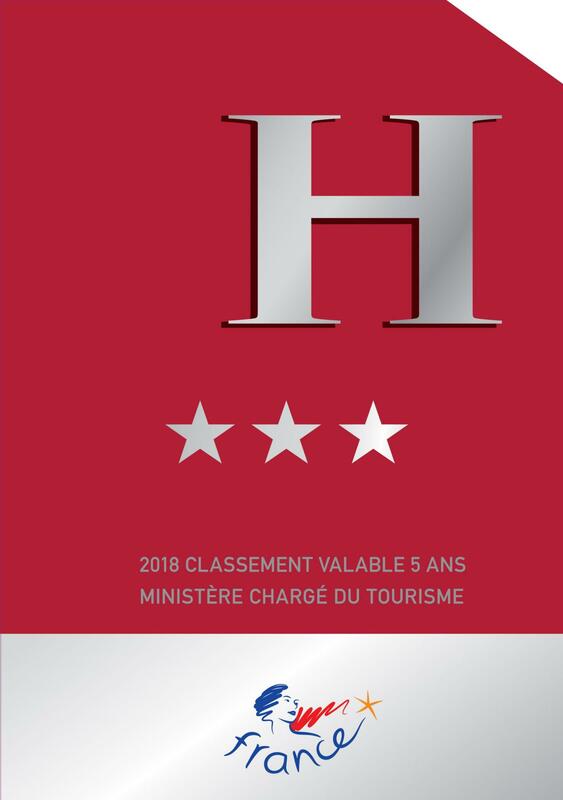 The ProvenÃ§al category rooms are equipped with shower, WC, hairdryer, telephone, LCD TV with TNT, luggage rack, WI-FI, small refrigerator and individually monitored air conditioning. 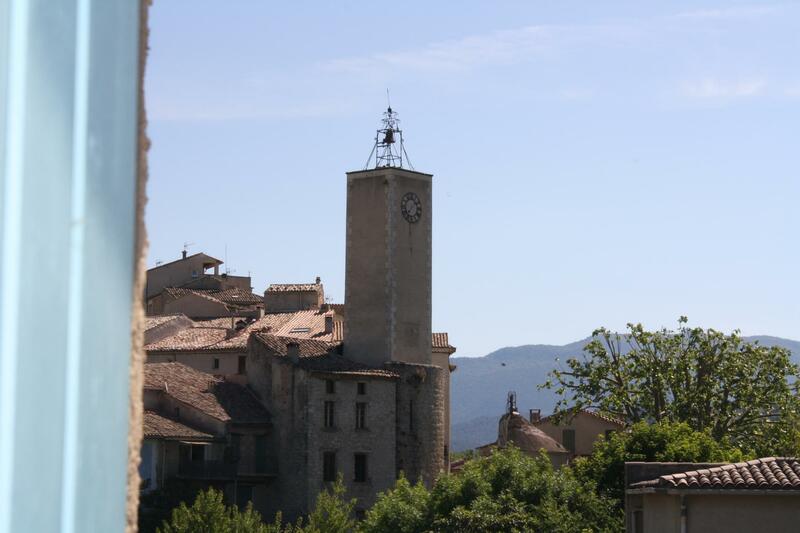 Every morning, when you open your shutters, you can enjoy the beautiful landscape. 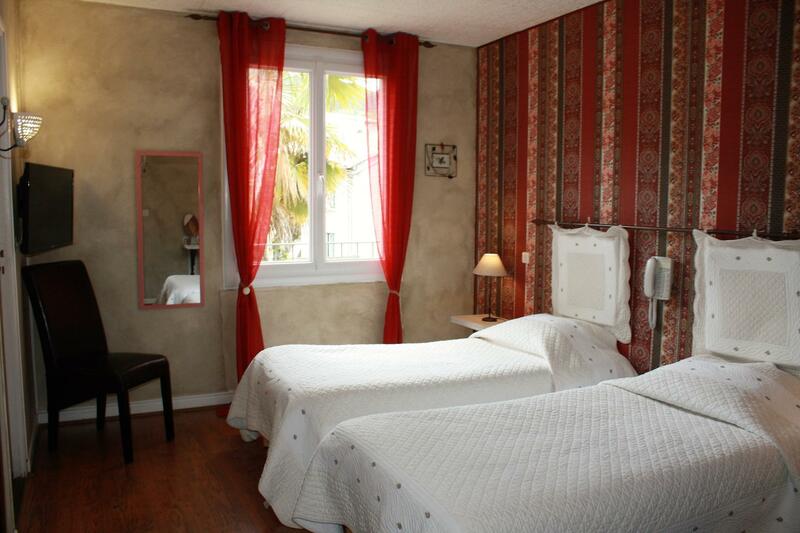 From these rooms only (3 rooms of them), you can enjoy the beautiful vue on our parc and the other comfort room has a beautiful vue on our village. Our Family Room ( up to 4 people) is located on the first floor of our Est building. We only have one Family room available. 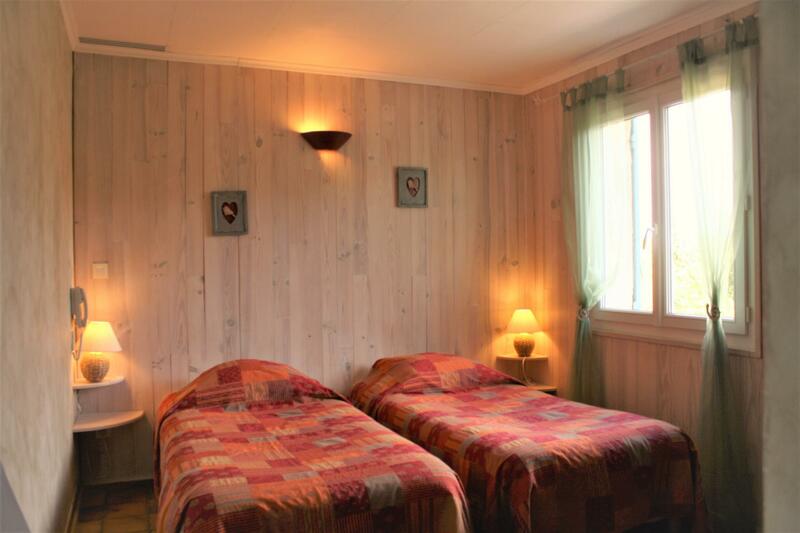 This one is divided in two parts : one room with a double bed and a second room with a twin bed. These two rooms are connecting. 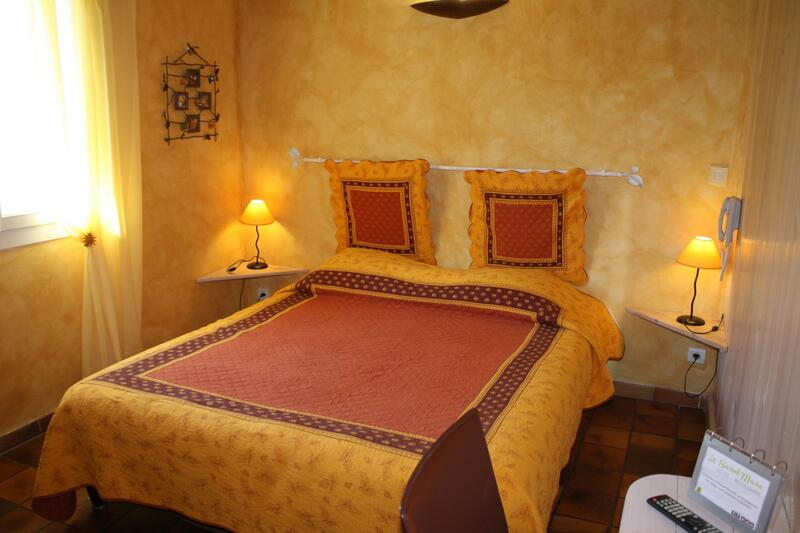 Bed sizes : 160*200 for the double bedded room ; 2 beds 90*190 for the twin bedded room. They are both Â equipped with shower, WC, hairdryer, telephone, LCD TV with TNT, luggage rack, WI-FI, small refrigerator and individually controlled air conditioning. Every morning, when you open your shutters, you can appreciate the beautiful landscape, the vue on our village and our gardens. Prices depending on the season.